Judith Kusel ~ SHE HAS COME HOME TO HER SELF…. She nurtures soul, her inner self, and she is intimate with ALL that she is, all which was before and is yet to come. She embraces her physical body, in its entirety and she refuses to negatively compare herself with others. She rejoices in the fact that it is her own sacred temple, and therein is the perfect expression for her soul, in this incarnation and in this perfected form. She refuses to buy into what others want her form to be, nor is what society thinks the ultimate: – she knows that she chose this vessel in this lifetime and therefore it is perfectly made for her. She refrains from judging her body, nor hating it, nor having hang-ups about it. It is her temple, and she honors the gifting, and she honors its worth, and therefore she is very careful about whom she lets into her energy fields and more importantly, it’s most intimate places. For it is her sanctuary, her powerhouse, that which ultimately is sacred to the Divine who created her. She honors the Divine within, and she honors the vessel, the chalice and form – for her soul is choosing to reside in there, and therefore it is sacred and sanctified. She moves past her own fears of food, and realizes that all food is but a life sustaining force and therefore empty of connotations – whether positive or negative. She learns to listen to her own body and its reactions to whatever she digests, and if this does not agree with her, then she knows this is not for her. She also understands that as her energy and frequency rises that her body will wish to have energetic frequency substances of higher values and therefore adjusts her diet accordingly. She is learning to love herself, warts and all, and in all that she is. She understands that every single thought will manifest in her life, and therefore she learns to reprogram herself, to not allow those negative thoughts, feelings, etc. to run her life, but that she runs her thoughts and expressions. She learns to manifest what she truly deserves and what she would love in her life, and therefore she embraces life and life more abundantly. She releases her hang-ups about money, and releases all vows of poverty, and begging bowl syndromes and the idea that a man should be her provider. She understands that all that was false programming, and that it kept her subservient and therefore also disempowered. She understands that money is energy, and whatever she projects onto it will manifest in her life. The minute she starts claiming her own worth, and therefore her right to open her arms to abundance, to prosperity, to the fullness of life and being – which has always been there at the core – her whole life shifts and at last she gains in understanding that the Divine created her as an abundant Being, and wishes to gift her with the very best. However is she constantly rejects the goodness of life in offering, she will attract what she believes she is worth. She reclaims her own worthiness and loves herself enough to empower herself on all levels of life and therefore to create the life of her dreams. She has embraced her emotional body, with the full understanding, that whatever she hangs onto in grudges, anger, hurt, pain, (and sometimes with every single detail in place), victim mentality, nurturing old hurts and pain, and remembering everything which ever came to hurt her, she is poisoning herself, and her physical and soul bodies. She learns to release all the emotional baggage, to free herself, and then to truly let go of all the inner noise – and to find that when she in balance in the emotional body, her physical body becomes rejuvenated, become vibrant, healthy and filled with energy and the life force itself. So, she know does cleansing and clearing of the emotional body, and her energy fields in and around the body every single morning and night, so that she can sleep soundly and that she can wake up in the morning feeling vibrantly alive and well and raring to get on with her soul purpose and calling with the fullness of being itself. This is the greatest beauty treatments she can give herself and it adds years to her life and rejuvenates her. She embraces the inner calm, the inner love, the inner balance – knowing that what is within herself will manifest outwardly. When her inner self is calm and serene, then the storms of life can come and all with it, but she is anchored inside in the eye of the storm and allows all to rage outside, but not within. In that way she can weather all storms and whatever else, in the knowledge that she is deeply anchored WITHIN, in the Divine and her soul, and that all else playing out around her is but a test, an illusion, an initiation, every honing her inner soul strength and purpose and always bringing her back to herself and her soul..
She embraces her mental body and she is there reprogramming it. 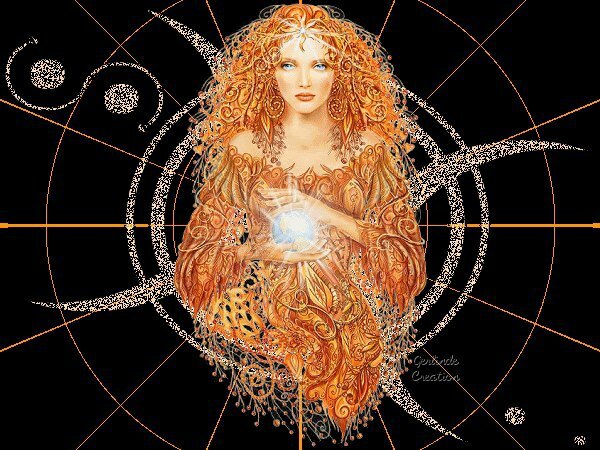 For her heart center is open and she knows that to FEEL into her heart is most important, as is listening to her intuition, her inner knowing, more than to her mind. When she carefully harnesses her heart and soul to her mind, she steps into the fullness of her powers as a woman, and more than this, into the true powers of her own co-creative abilities, where she cannot mentally and with her mind, create anything which is not in highest alignment with her own soul and within the Divine Laws. She also knows that every single thought and every single word she utters has ripple effect – therefore she is very conscious of her thoughts and her words and uses the latter sparingly, so that every word will be empowered with love, wisdom, and a deep inner knowing and therefore create more balance within and without. She prays that whatever she thinks, speaks, or puts out there in ripple effect will contribute towards the greater good, the great whole and therefore the return to the fullness of Being, the balance, and ultimate return of the Garden of Eden to earth. She is very much in sync with the spirit and soul and all her energy bodies, for she knows that she is soul energy manifested into form – but for an eyewink in the infinity of Being in cosmic space continuum. Therefore she loves to work with own energy fields and she is aware and conscious of shielding herself and more of this, to not allow others to zap her energy, nor to put holes in her auric field. She is aware of what and whom she lets into her energy fields, and she is discerning in whom she associates with. She seeks from the depth of her heart and being the truth – and she know that the truth will ring true within her, and she is not afraid to stand in her truth, integrity, purity and therefore ultimate dignity. She seeks that nobleness of spirit and soul, the purity, and highest pathways of the soul, and therefore she will not allow anyone to contaminate what is hers truly within. She walks her truth, she walks her talk, and she is not afraid of challenges. She is fearless and she is true to herself, and the Divine, no matter what. She will not compromise her integrity, her inner truth, and she will not allow anyone to disempower her anymore. She realizes that if she does not empower herself, then someone else will disempower her. She seeks to stand on her own two feet and will not apologize to anyone for her right to live and to be. She stands as a true Daughter of the Divine, and she knows that she is loved unconditionally and that worthiness is something deep inside of herself she has to find, and is nobody else’s’ business. She is aware that at the end of her sojourn here, she will stand there in her highest soul truth and stripped naked to the very core of her soul, and then she will not be able to blame anyone for not living her soul purpose and calling to the very full. She has learnt that blaming and shaming, and nurturing hurts and pain, serves no one, least of all herself. She rather wipes off all and everything, so that she can stand her, in her truth and integrity, with clean hands and a clean conscious and with the knowing that she did her very best: – she might have fallen down flat on her face in the dust more times than she cares to remember, she has been through the grinding mills and back again, she had joys and sorrows, and the scars to prove it, but she never ever gave up. She always stood up again, dusted herself down and got on with business of life – more powerful, and more worldly wise than before, and often with shaking knees and with not knowing from where help would come next – but help always came, and she always had food and shelter and always angels appeared out of nowhere to help her. It just strengthened the inner connection of the soul and her trust and faith in the Divine and more than this, unconditional Love. She is therefore growing now into the highest truth of her own being. She is taking responsibility of her own life and for all that she is and growing into. She is learning to stand in her own power and use that for the highest good of all, and never for self service and never to hurt or to harm. She is truly opening her heart and learning to love herself totally, completely utterly and to find all the answers within. She is stepping into the full soul empowerment and into her highest soul purpose and calling without looking over her shoulder who is following and who is not. She does not seek approval, or acknowledgement. She is not in competition with anyone – for there in truth is no competition but merely one’s soul path to live to the full. She is open to the Divine Masculine in whatever form he appears, as her Divine counterpart. She refrains from blame and from blame, but accepts him in his entirety – with his wounds, with his triumphs, with his inner child and with all the entire Being he is, knows that as she heals within, she is allowing him to heal within, in his own time and in his own way. She gives him the freedom to be. She is not a victim – she stands in the victory of her own inner self and false belief systems, and she claims her own worth and refuses to be shamed anymore nor treated as if she was soul-less, life-less, and without feelings to be used and discarded. She knows her own worth and she will not settle for anything less than what she worth. For in the end this is the time when the masculine and feminine with has to come into balance and within the empowerment of the soul. Therefore she knows that she is not the judge, nor the one bestowing justice, for in judging she is merely judging herself. Therefore she gives him the freedom to find his own balance and his own soul, while she goes all out to empower herself. 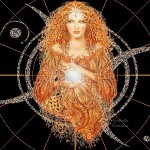 In this as she heals, and she empowers herself, and she loves herself unconditionally and claims her own worth and blazes new trails for humanity – she is paving the way for the Divine Feminine and the Divine Masculine to at last find each other again, and for the sacred union to finally bring wholeness to all of Mother Earth. Such is her calling – she LIVES this with every breath that she takes.